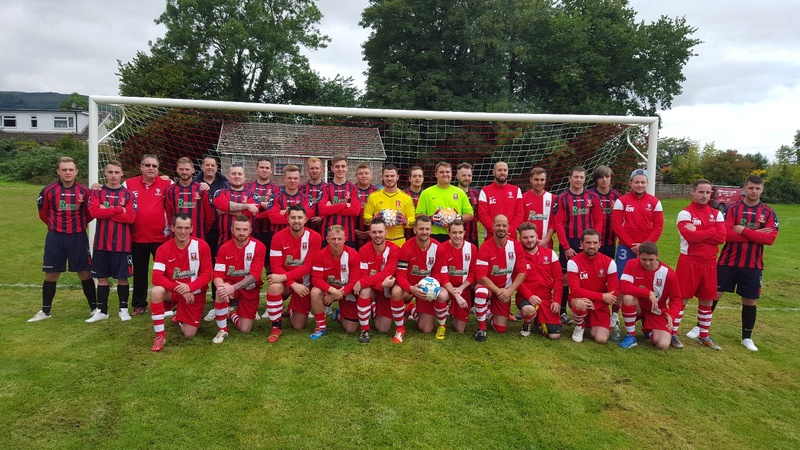 Gilwern traveled to Prescoed on Saturday in a match billed as the clash of the titans,the only two unbeaten sides in the league. Gilwern started the game with great purpose and should have taken the lead within the first 5 minutes with Adam Carrington failing to convert an opportunity. Gilwern continued to press strongly but, against the run of play, found themselves going 1 down in 15 minutes to a sloppy headed goal from a corner. Gilwern shocked at going 1 down responded with some great football, the back four of Captain Webby, Matthew Chaney, Joey and Blair Keane were resolute in their purpose defending bravely. Some hard tackling in midfield by Luke Mears and Bergoyne created the space to put the strikers into goal scoring opportunities. Gilwern were rewarded with an equaliser in the 30th minute with a fine header from Ben Bergoyne. Luke was replaced at half time with Matthew Williams,after picking up a nasty knock. The score remained at 1-1 at half time. The second half started with Gilwern pressing strongly and following a succession of corners taken by Spud Randall, Adam Carrington popped up with a nice header to give Gilwern the lead. Great work by Richard Langley and Mazza in midfield saw strikers Thomas Baynton and Adam Carrington break through on several occasions being a continuous menace to the Prescoed defence. After an hour of play Adam Carrington scored an absolute screamer from 20 yards. Kurt Jones in goal made 3 magnificent saves to keep the score at 3-1, however, a lapse of concentration defence with 15 minutes to go saw Prescoed score 2 goals in as many minutes. Youngster Aled Pridey came on to replace Richard Langley late in the second half and put in a confident performance seeing out the game with honours being shared at 3-3. Manager Tony Carrington stated " this was our toughest game to date and I am delighted at the magnificent display our player put in".